It’s the most wonderful time of the year! 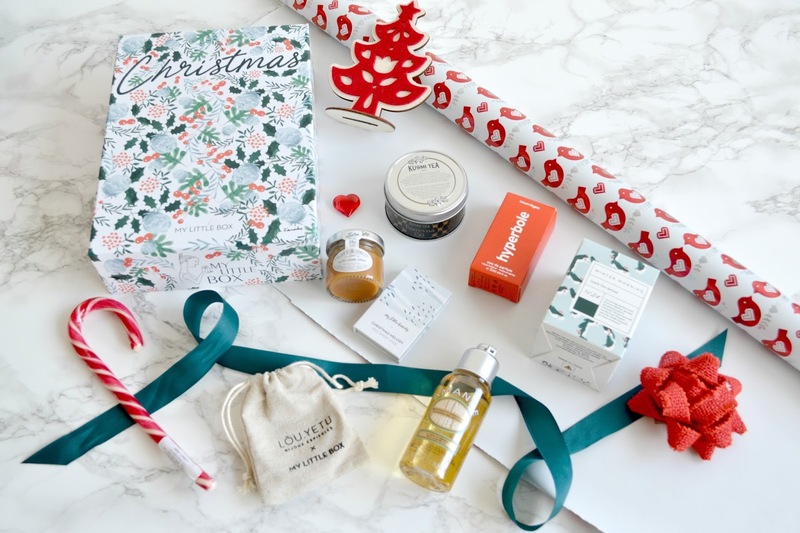 Well it certainly felt like it when I received this month’s Christmas themed My Little Box. As soon as I opened it I was greeted with a delicious fruity candy cane and I knew this box was going to be an absolute winner. Packed full to the brim with treats, this has to be the best box yet. The first item I looked at and forgot to take a photo of can be see below and is little bottle contains the Courreges Hyperbole eau de Parfum which retails at €72 per 50ml. This is said to be a deeply feminine fragrance with a slight masculine edge. I think this is a nice scent, one that lasts on the skin for a while which I like. The sample size is perfect for popping in my handbag for when I need a quick spritz, but I am not sure I would purchase the full sized version. The first thing I saw when I opened my box was this Kusmi tea in limited edition Tsarenva blend. This black tea is flavoured with orange and spices and smells like mulled wine and Christmas all rolled into a cup. 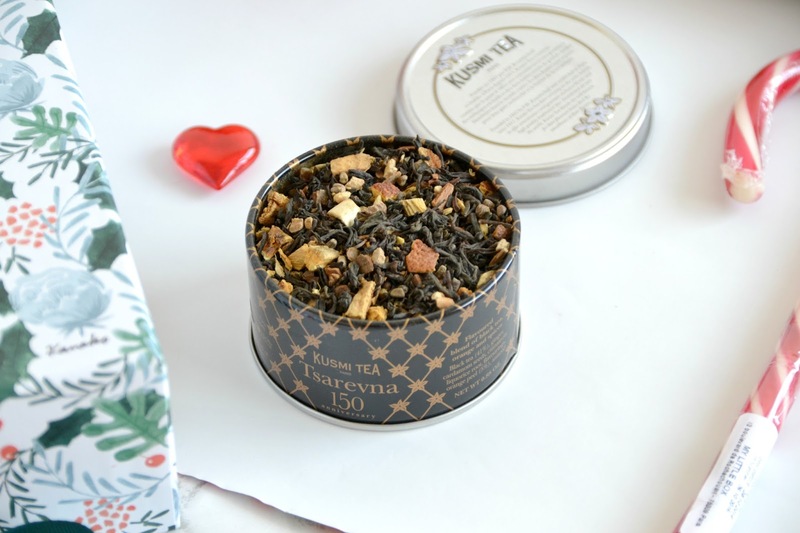 At £24.80 for a 200g metal tin, this would be the perfect gift for tea lovers this Christmas, and beyond. I love all flavoured teas so when I finally found my tea strainer and tried this I thought it was a very interesting and delicious blend that I can’t wait to drink over the festive period. 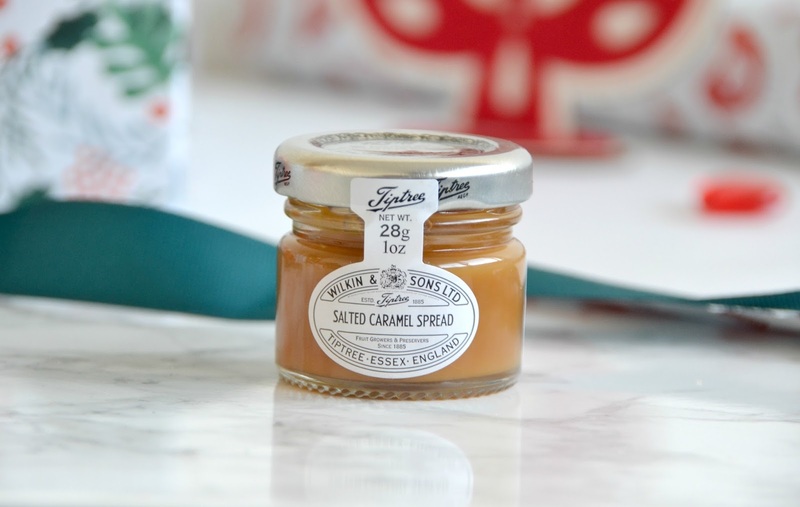 My favourite item in this box was the Tiptree Essex Salted Caramel Spread. This retails at £2.49 for 210g and is made with fresh cream, golden syrup and a pinch of salt. This is an item I will definitely be repurchasing. I dipped chocolate fingers into this small pot of joy and it was the perfect naughty treat – although I did feel a bit sick afterwards. This spread would be perfect drizzled onto pancakes or waffles and I will be buying another tub in order for me to experiment on how to eat this. 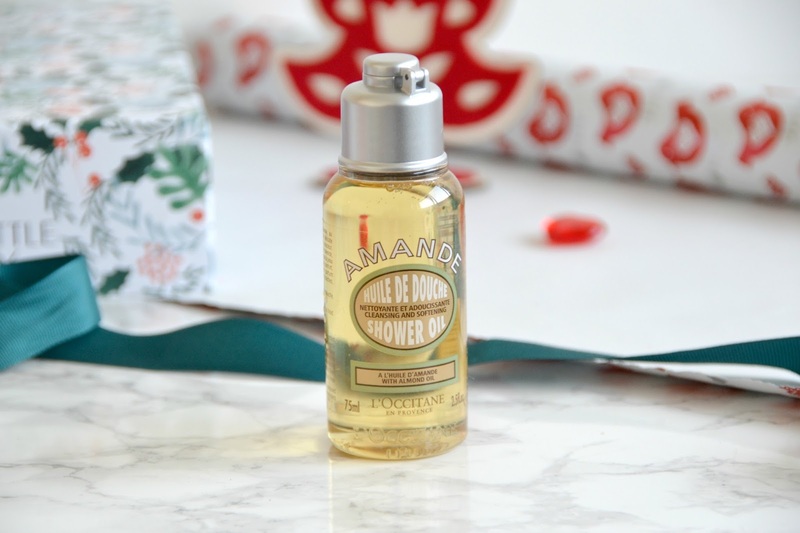 I then received the Amande Shower Oil by L'occitane. This oil transforms into foam when in contact with water. Enriched with almond oil, this smells lovely. Having a shower with this oil makes the whole experience feel very luxurious and my skin is left feeling soft and nourished. 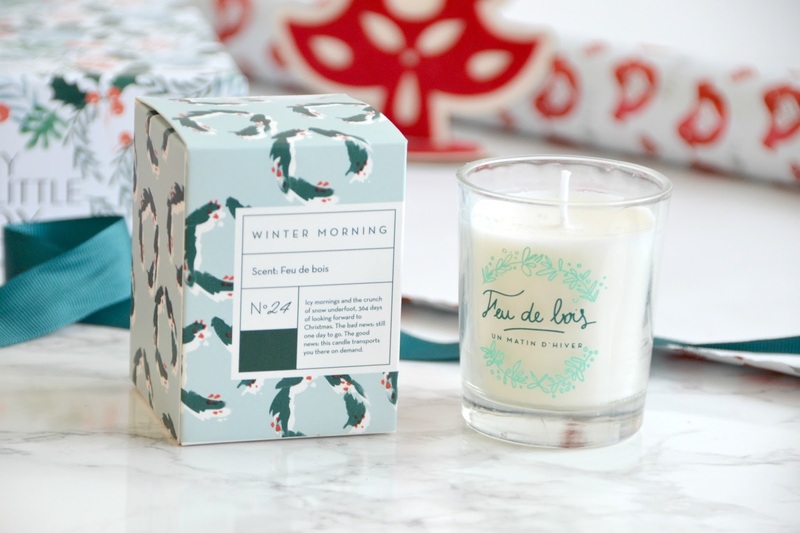 This Winter Morning Candle in Icy Mornings smells lovely but doesn't give off a huge scent when burning. I love the little wooden lid that came with it. The design is simple which works for me as I can comfortable have this in any room and it will instantly match the décor. Unfortunately I do not know the RRP of this item as it was not included in the box. 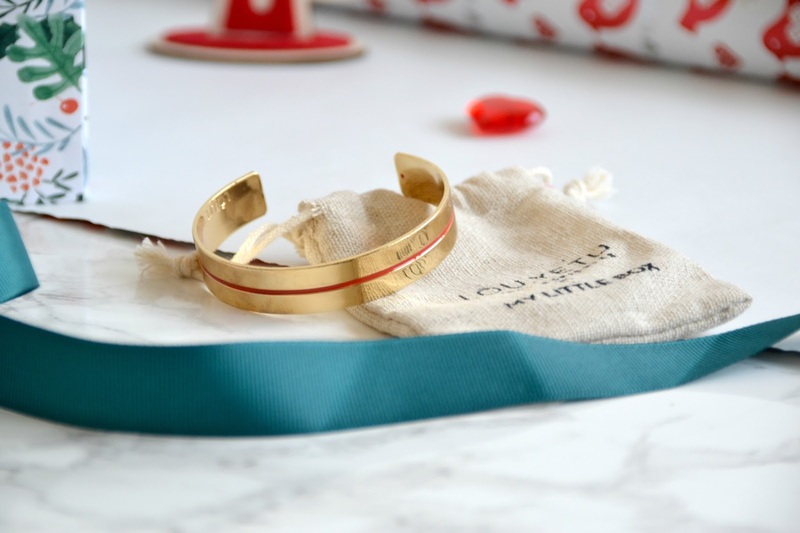 This month we received a jewellery item in the form of this Gold coloured bangle with red stripe. Perfect for the festive season the red and gold will go well with my Christmas outfits however I can’t see myself wearing this all year. I am not usually one for wearing a lot of gold which is a shame as a lot of the jewellery we have received so far from My Little Box has been gold. I’d like to see some silver coloured items in the new year please! 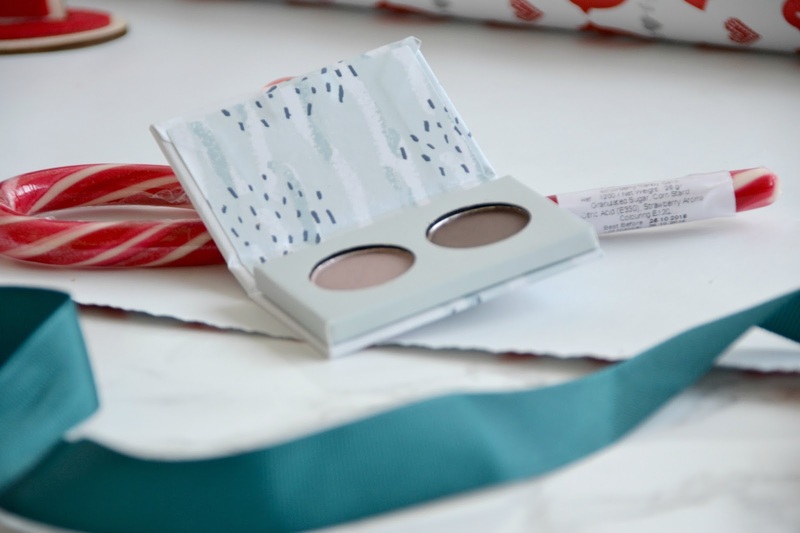 The My Little Beauty item this month was this gorgeous Christmas Melody - Duo Smoky Eye palette. One shade is Shimmery Taupe, the other a Deep Chestnut. Both are really nice shades for the festive season and perfect for blending into a smoky eye. Both colours are buildable and last on the eye all day without creating any fallout. What do you think of this box? To sign up for yourself, head over to the My Little Box website.